35758 shoes found. Page 1 of 1788. 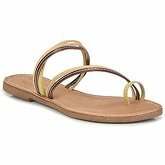 On this site you will find ladies sandals in sizes from 2 to 11. 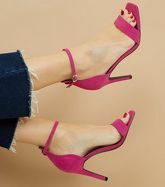 There are 35758 pairs of shoes starting with price of £0,00; 18071 pairs from the whole collection are discounted at this moment. There are 1866 brands, most of shoes comes from Office, L' Autre Chose, Betty London, New Look and Cafènoir. The shoes are available in different colours, mostly in Black, Brown, Blue, Pink and White.